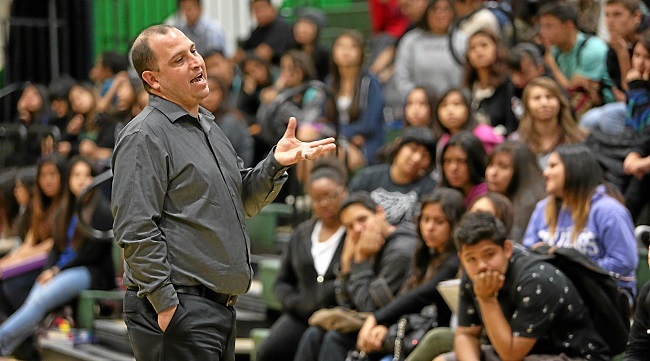 US History teacher Devon Darrow talks to students at Nogales High School. Nogales High students are especially thankful for friends, family and freedom this Thanksgiving. The Rowland Unified students have been studying the Holocaust this week. Last week, 150 history students toured the Museum of Tolerance in Los Angeles. Then, they gathered in the gym for a live Skype with a Holocaust survivor. “I want my students to learn history from firsthand accounts and experiences. These people bring history alive, having actually lived through historic events,” explained teacher Devon Butcher. Butcher is an enthusiastic instructor of world and U.S. history. At Cal State Fullerton, Butcher discussed how to teach students about the Holocaust after the last survivors had died. So the Nogales teacher took his students to the Museum of Tolerance. The museum helps students understand the Holocaust as well as prejudice and discrimination in the world today. “We watch people get bullied every day and don’t do a thing about it,” Butcher said. Every visitor gets a different passport with the story of a child affected by the Holocaust. The passport is updated during the tour, revealing the child’s fate at the end. “I thought it was a very sad situation, because no matter what the age the children were, they killed them,” said 15-year-old sophomore Paola Aldana. Read more in Rich Irwin’s story HOLOCAUST. 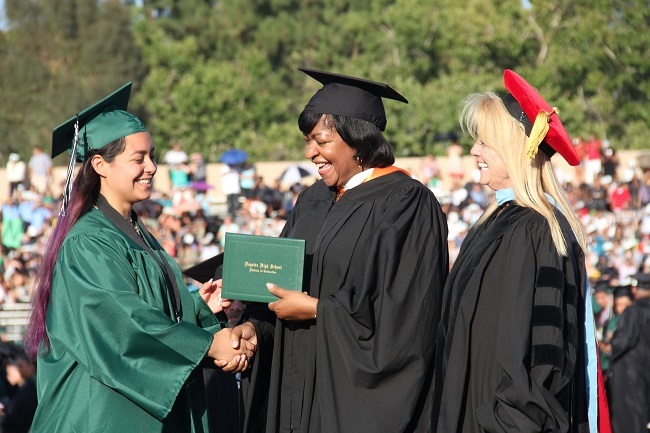 Former Nogales High School Principal Dr. Nancy Padilla (who retired last year) got a surprise as she was allowed to present the diploma to her daughter, Allison Padilla, pictured with Rowland Unified School District Board of Education Clerk Angelena Pride. Nogales High School Valedictorian Jannette Choi began her speech with a “selfie” photo of her and her classmates. The Class of 2014 at Nogales High School ceremony featured the release of doves over the heads of the 491 graduates in La Puente. They’re thinking doctorates. While other high school graduates are considering bachelor’s degrees at local colleges, three Nogales grads are planning advanced degrees at the best universities in the world. The three have been named Gates Millennium Scholars. 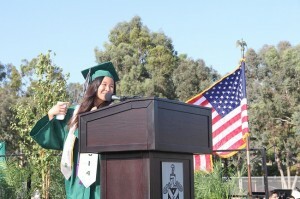 The program selects 1,000 talented students every year for a scholarship to the college of their choice. 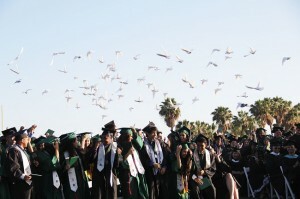 The prestigious scholarships pay for tuition, books and meals, as well as travel assistance to visit their families. The 18-year-old comes from an immigrant family. Alberto was inspired to succeed by his father, who came here from Mexico to make a better life. The Nobles had to write nine essays to become Millennium scholars. They also had to have a minimum 3.33 GPA, though many like Alberto have a 4.5. 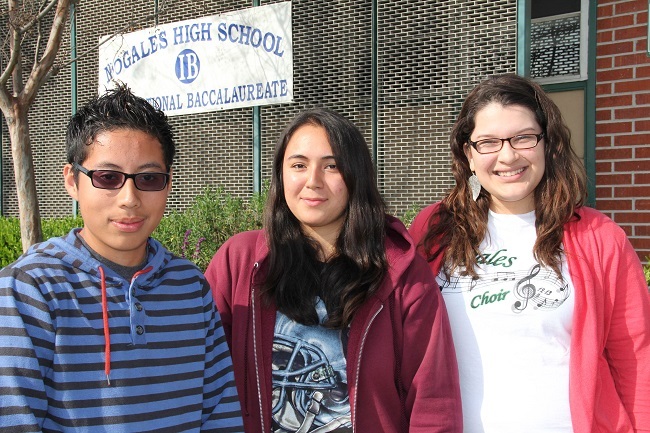 All three Nogales teens are candidates for International Baccalaureate Diplomas and rank in the top 10 of their graduating class. Read more in Rich Irwin’s story GATES.